A variety of websites provide entertainments to enrich people’s life whenever watching videos or listening music at home, in a coffee shop or in the subway. 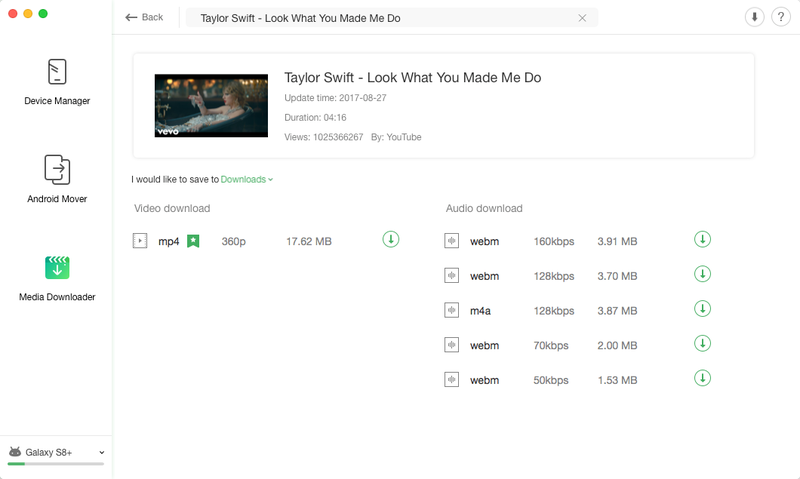 But when it comes to downloading videos or music from websites to your computer or Android device, it’s a tricky business. 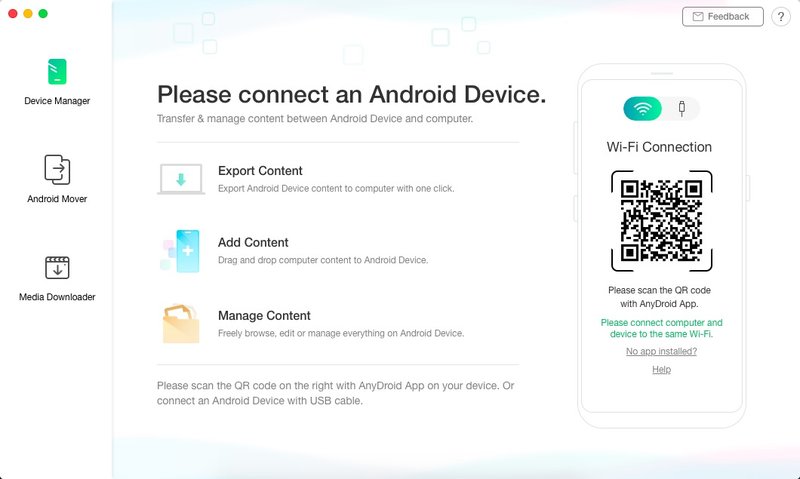 Now, AnyTrans for Android offers Media Downloader function to help download media data without advertisements to your computer or Android device directly with few clicks, like videos, music and so on. 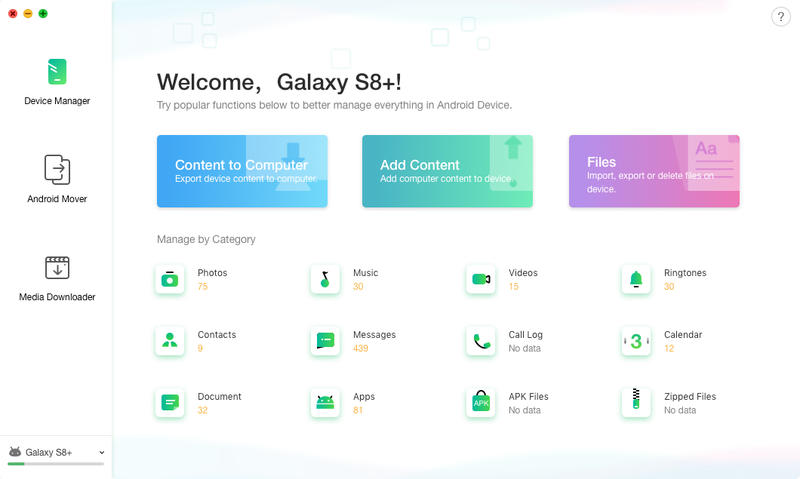 Please refer to the following guide to make good use of AnyTrans for Android. Our software provides two ways to search your wanted media. The one way is to copy URL and the other way is to type the keywords to search the media. If you use the keywords to search the media, it will show all the related videos and audios from YouTube after clicking button. Before you download the video or audio, you can choose your preferred saved path. 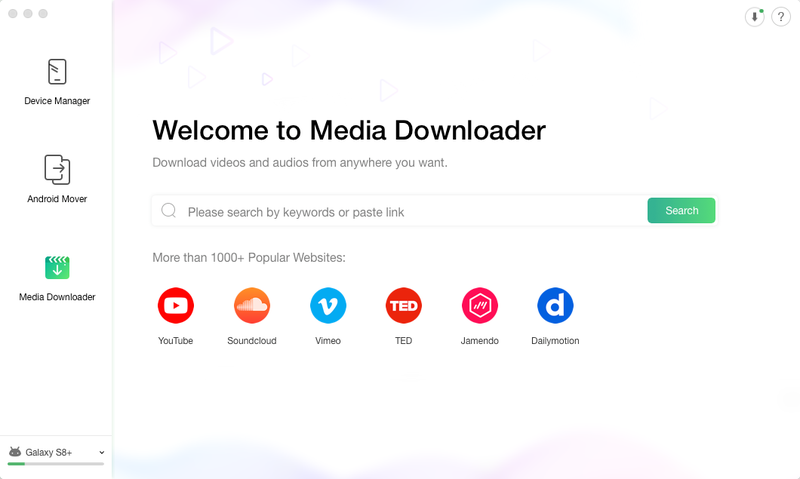 Then click button to download the media. To check the downloading process and manage the downloaded video or audio, please click button. 1. The downloading time varies based on the size of media data you choose and the Internet connection status. Please be patient. 2. If the URL contains multiple videos or songs, AnyTrans for Android will automatically detect all of them. You can choose whether to download them or not. If you choose to save downloaded videos or music on computer, you can click button to locate the saved path after downloading process completes. When you fail to download video or music, please click the button to re-download it. To delete useless video or music, please click button. If you want to delete all downloaded videos and music, please click Clear List. After the transferring process is completed, you will see the interface below. If you transfer the downloaded videos or songs to your Android device, please find them in the Video or Music app on Android device.